This Spring Study weekend will be led by Dr Tessa Murdoch, Deputy Keeper of the Department of Sculpture, Metalwork, Ceramics and Glass of the Victoria & Albert Museum. We shall be staying at the Canterbury Cathedral Lodge Hotel situated in the beautiful grounds of the Cathedral and where we will be having dinner on the first night. Highlights of the weekend will include a visit to Penshurst Place. 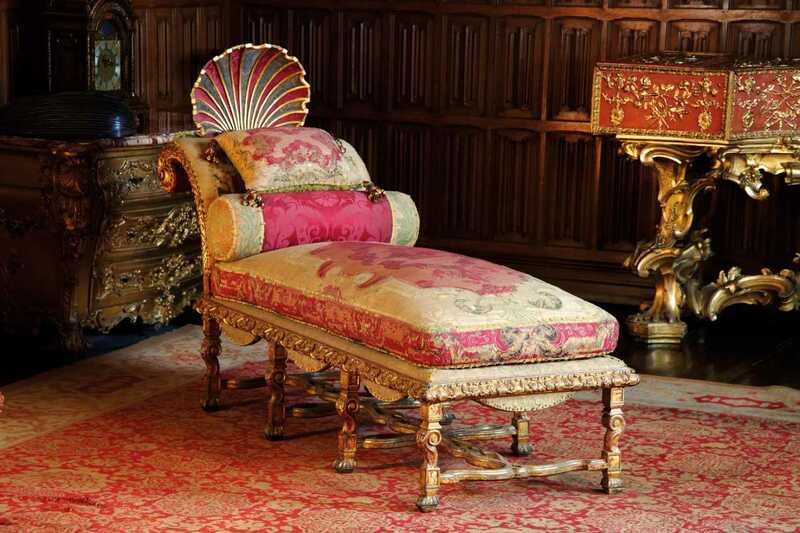 The Queen Elizabeth Room, named after Queen Elizabeth I, who often held audience there during her many visits, has a remarkable display of early eighteenth-century upholstered furniture. Also a special tour with Robert Sackville of some of the private rooms at Knole (Library, Music Room, Boudoir, Colonnade, Poets’ Parlour) has been arranged. For the first time the FHS will visit Queen Anne style Bourne Park. The house is home to the Fitzwilliam Collection, a notable private art collection that the current owner has inherited as a descendant of the Earls Fitzwilliam. The collection was formerly housed at Wentworth Woodhouse, the Fitzwilliam's traditional country seat in South Yorkshire. The collection is not on public display and pieces are rarely loaned to exhibitions. We will have a private tour of Canterbury Cathedral, Archives and Deanery as well as of St John’s Hospital, an almshouse near the Cathedral. The weekend will also include dinner on Saturday night at a private home with an inherited collection of English furniture and textiles. Our hosts are keen members of the Irish Georgian Society. On the Sunday we will conclude the weekend with a visit to the Maidstone Carriage Museum and several churches.